The brief P30 Pro Amazon listing suggests that the P30 Pro smartphone will carry a price tag of 1,028.19 EUR (Rs 80,300) for the 128GB storage variant. 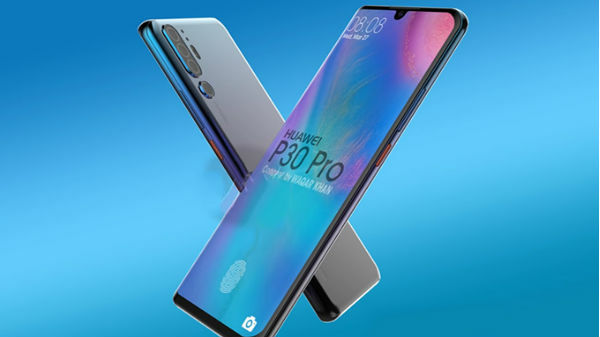 Huawei P30 smartphone lineup is one of the most highly anticipated flagship launches that is taking place this year. Huawei has scheduled the P30 launch on March 26 in Paris. Ahead of its official launch, the P30 series have been splashing over the internet quite consistently. By now, we have a clear insight on the specifications and features which the P30 series is going to offer. 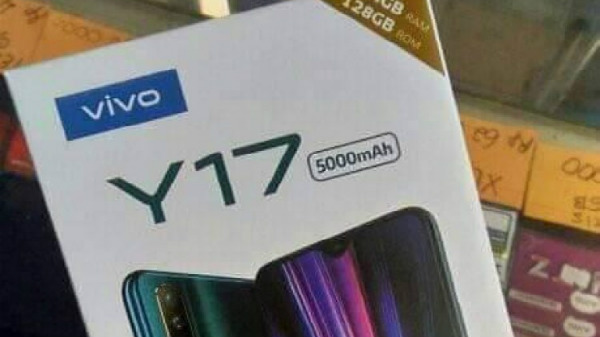 As the P30 lineup is approaching its official launch date, more and more leaks of the smartphone lineup are appearing online. 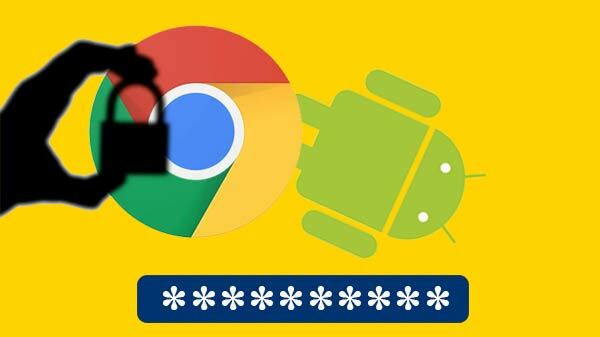 This time, the P30 Pro has been accidentally leaked on the e-commerce giant Amazon's platform. 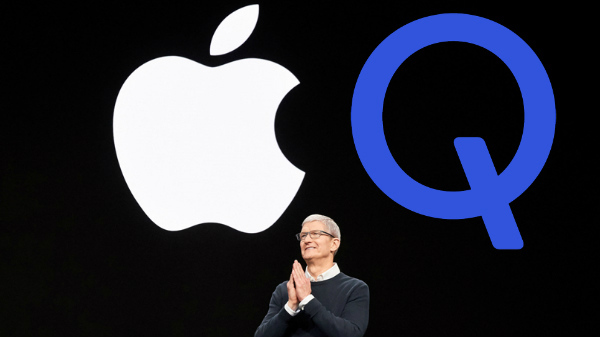 The device was listed on Amazon Italy online store revealing the key specifications as well as the pricing of the smartphone. The brief P30 Pro Amazon listing suggests that the P30 Pro smartphone will carry a price tag of 1,028.19 EUR (Rs 80,300) for the 128GB storage variant. 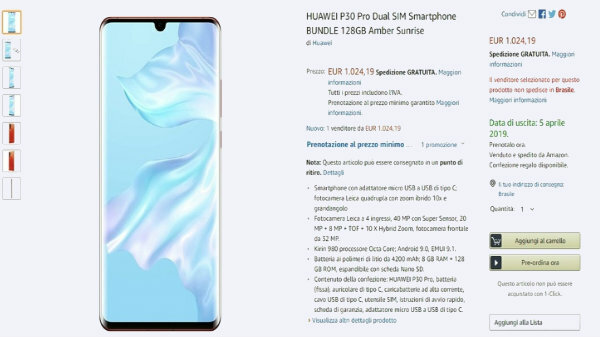 The standard Huawei P30 was seen carrying a price tag of 750 EUR (Rs 58,583 approx). The listing has been removed from the website; however, it revealed an April 5 availability date. In addition to the pricing of the P30 lineup, the Amazon listing also confirmed the specifications which we have seen via previous leaks and rumors. The P30 Pro's quad-camera setup which is the primary highlight of the smartphone has been confirmed by the Amazon listing. The P30 Pro' rear camera setup will comprise of a 40MP primary lens, a 20MP lens, an 8MP sensor, and one ToF lens. The rear camera will come with 10x lossless zoom technology for enhanced imaging performance. Besides, the smartphone will flaunt a 6.47-inch curved display with Full HD+ resolution with a waterdrop notch on top for the selfie camera. It will run on Huawei's in-house premium Kirin 980 processor which based on 7nm architecture. The smartphone will be fuelled by a 4,200mAh battery unit which will come with the company's proprietary fast charge support.